There’s only one thing you should do with the stock pedals on your bike. Upgrade them. The best mountain bike pedals are stable, reliable, and durable; everything a flimsy stock pedal isn’t. Even the lowest-priced clipless or platform style pedal is going to provide dramatic gains in speed and control. From casual trail rides to the most death-defying gravity runs, there’s a perfect pedal for your bike, but it can be hard to choose. Four big manufacturers make wildly different and popular clipless pedal systems, and even simple platform pedals come in a variety of shapes and styles. 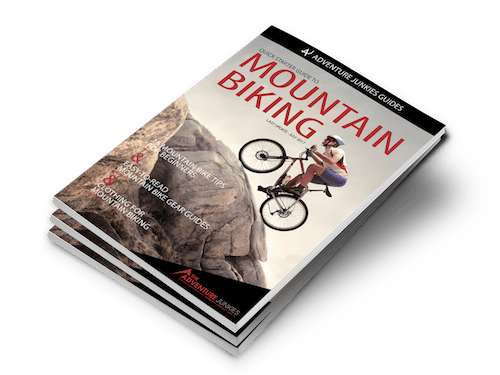 Here at The Adventure Junkies, we’ve tried out dozens of pedals, evaluating versatility, durability, weight, and ease of use. 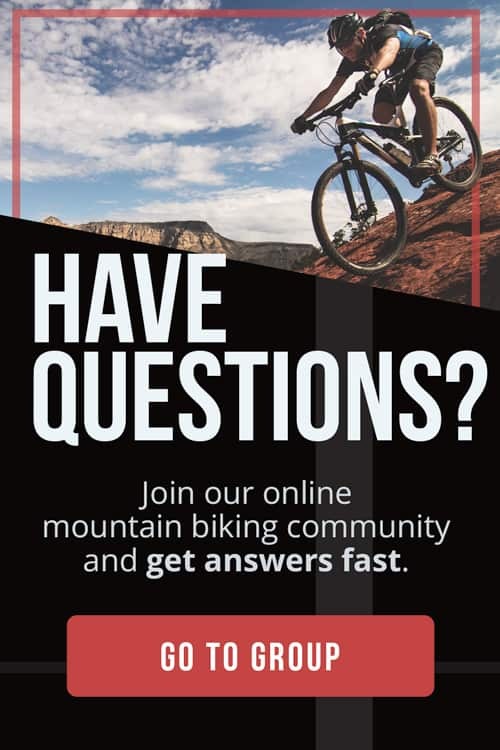 We’ll help you decide so you can get off the computer and onto the trails. If you want a reliable and lightweight pedal for most styles of riding, look no further than the Shimano XTR Race PD-M8000. They might be heavy, but the bearings will spin smoothly for longer than most other pedals. The quality of the aluminum and chromoly used in the manufacture mean that they can put up with some proper abuse. The entry and release is adjustable so you can set them up as you want them. The XTR Race is a great and affordable pedal choice for XC, trail and all mountain riding. For the average rider, a pair of these will keep you more than happy. Lightweight XC racing pedals to die for, if you can afford them. The titanium axle and carbon body keep the weight right down while being both strong and durable. Time pedals are known for having lots of float and these are no different. The cleat can move slightly sideways when clipped in, which reduces rotational forces on your knee during the pedalling motion. The design is very good at shedding mud, so you do not have to worry about reliability in muddy conditions. For such a high performing pedal made from high quality materials you do have to pay more. Ok so you want a pedal that is as light and even better at shedding mud than the Time ATACs? The Look S-Track has a very open design, much like Crank Brothers pedals. With not much to hold on to and no small holes to hide in, any remaining mud and snow gets shaken off as you clip in and out. These pedals are also constructed from carbon and titanium, so have the same low weight and high durability as the Time ATACs. Similarly the price is quite high. These pedals can be hard to clip in to, so not for the first time clipless pedal user. For anyone looking to spend more on their pedals than they care to admit to their significant other, Crank Brothers have you covered. Not the easiest pedals to clip into, but once in, your feel are held firmly and safely in place until you want (or need) to get out. Unclipping is easy. Both the entry and exit can be tuned between 15-20 degrees. They are crazy light, constructed from titanium and stainless steel, come with a 5 year warranty. Combined with a stiff shoe will help you transfer every single watt of power from your legs to the gears. A durable pedal for downhill and enduro riding in all weather conditions. Around the cleat mechanism is a platform to give stability to your foot when the trails get rough. It also serves as a backup if you cannot clip in fast enough. The float is adjustable with a choice of 13 or 17 degrees. Entry is easy thanks in part to the platform that helps guide your foot in, combined with only a small amount of resistance from the mechanism. Like other Time pedals, there is lateral float to allow your foot to move sideways when clipped in. The simple design and affordable price of the Candy 7s makes them an attractive choice for all mountain and enduro riders on a budget. There is no adjustability. Traction pads on the top of the platform help keep your foot in place if you cannot get clipped in, or do not want to. They shed mud excellently and have an average weight compared to similar pedals. 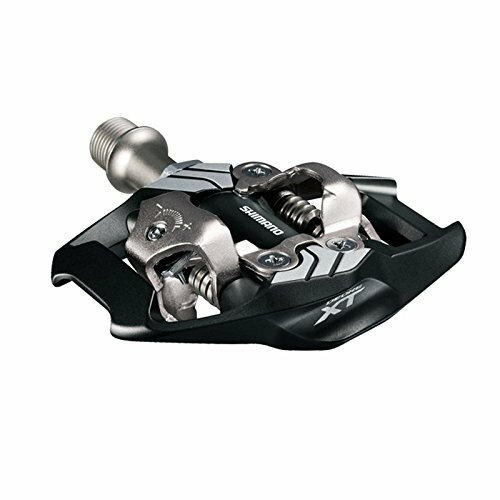 You have to pay more for pedals with more adjustability or a lower weight, so if you can live without those, the Candy 7s will serve you well. 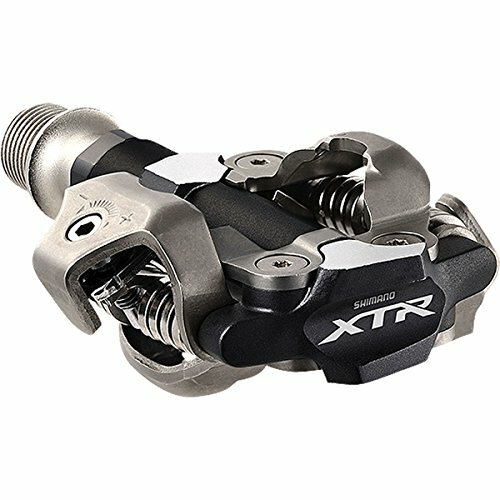 If you are looking for a clipless pedal without breaking the bank, the XT M8020 pedals are very affordable. The weight is quite high, even for a clipless pedal with a small platform. This is a time honored pedal, still popular with riders despite it having been around for many years. The reason for this is the durability and reliability. Entry and exit is firm but consistent and can be adjusted. Sticky mud can collect on them, so if you ride a lot in muddy conditions, choose a pedal with a more open design. If you cannot decide between a flat or clipless pedals and do not be riding anything particularly technical, a pair of PD-AD530s may be the pedals that you are looking for. Featuring a clipless mechanism on one side, and a platform on the other, you can choose either at any point during your ride, or use them with normal shoes for non-sport riding. The float is adjustable and the platform is concave to hold your foot in place. 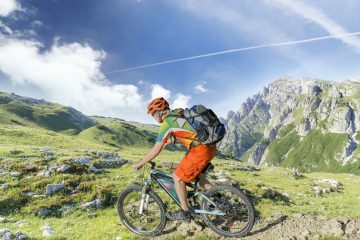 The strength of the cleat is not the best, so choose a dedicated mountain bike pedal if you will be riding any terrain more technical than fire roads. 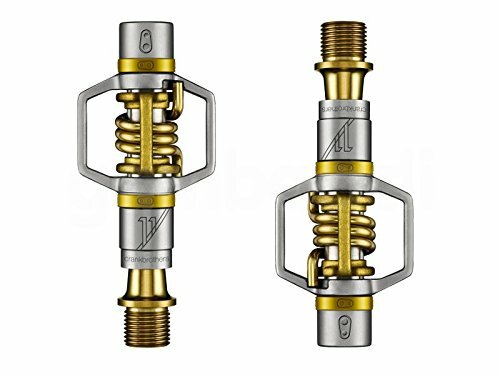 Most mountain bike pedals are constructed of metal so that they are strong enough to deal with the rigors of off-road riding. Race Face have taken the bold step of producing a pedal made with a nylon composite. Surprisingly they can take a beating! The concave platform has eight replaceable pins on each side and they will spin smoothly for many months of riding thanks to the sealed bearings. Every time a metal pedal strikes a rock, a visible scar is left behind. Not so with the Chesters! On top of this they weigh less than the average flat pedal! There are two basic options for pedals. The most popular, clipless, reassure the experienced and terrify newcomers. 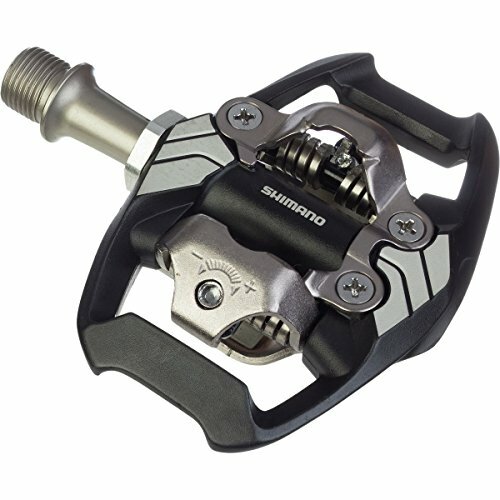 Despite the name, these pedals allow riders to clip-in with compatible, interlocking cleats. Many riders now call them clip pedals to avoid confusion. The second option, simple flat platform pedals, are learning curve-free and sneaker-friendly, and usually favored by new riders. We break down some of the differences in our article, Parts of a Mountain Bike. A third option exists, providing maximum versatility; combo pedals feature a clip and a platform, and can be worn with cleats or flat sneakers. These pedals are most commonly placed on dual-role bikes, used for both commuting and recreation. The first clipless pedal was invented in 1895, by Charles Hanson, during the bicycle boom of the late 19th century. According to bike style devotees Velominati, it was Bernard Hinault’s 1985 Tour de France victory, atop a pair of Look clipless pedals, which made clipless systems mainstream. Look pedals used a system adapted from ski bindings, and were intended to replace the popular toe-clip style, hence the name “clipless”. 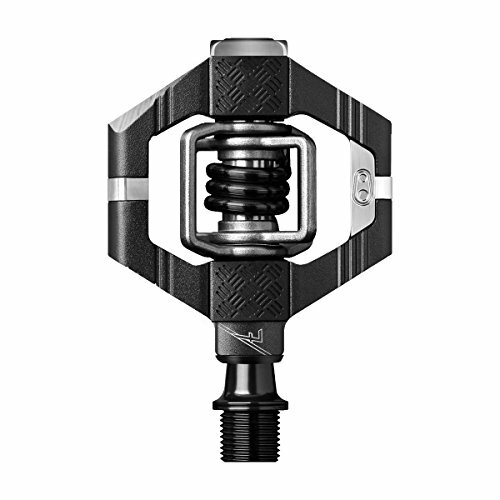 Clipless pedals are the clear favorites for road riders, and many mountain bikers. Technology blog Gizmodo argues they provide higher power transfer, efficiency, and security. These benefits are a function of the rigid shoes clipped into the pedals; in effect, they transform the entire shoe into the pedal. Clipless pedals have a few drawbacks. They are more expensive and have a steep learning curve. Another resource to learn more about clipless systems is available from British retailer Wiggle.co.uk, on both road and mountain bike pedal systems. Platform pedals never went away, despite the many benefits of clipless systems. They’ve always been popular with BMX riders and most casual cyclists, but are enjoying a surprising resurgence with serious cross country and downhill riders. According to Bicycling magazine, pros like this simple technology for training core skills and fundamentals. 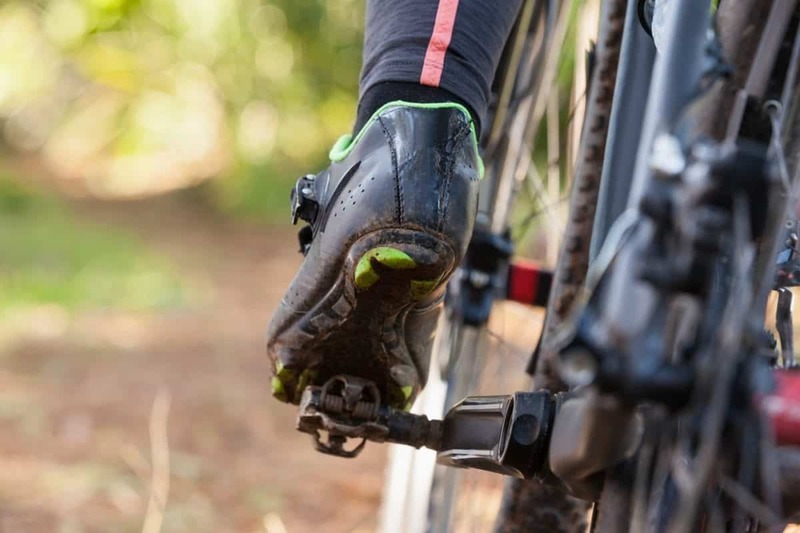 Platform pedals work with any athletic shoe, but achieve their best performance when paired with a new style of mountain bike specific shoes designed for platforms. The best platform pedals have lots of pins, used to guide shoes into place, and feature exciting, weight-shedding designs. 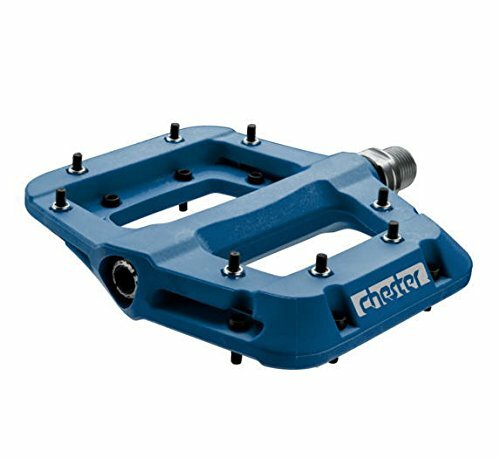 Platform pedals are inexpensive and reliable, but they aren’t going to offer the same efficiency or stability as clipless. If you don’t like being clipped in, or plan to ride your bike in extremely bad weather conditions, they will be the best choice. Much like the mullet, combo pedals offer an at-times awkward compromise. They’ll never be ideal, but they fill an important niche for riders who use one bike for both trail riding and commuting. Several designs exist. The most familiar are one-sided clipless, with a platform side weighted to face up. Riders have to flip the pedal and then clip-in to use the clipless side, which can be off-putting for new riders, but quickly becomes natural. More expensive options exist with dual-side clips, but they haven’t caught on with most riders yet. Different pedals perform differently in bad weather. Cleat systems can be mud-shedding or more closed and better for dry conditions. Most cleat systems perform at their worst in snow, which can easily get crushed into cleats and pedals. Platform pedals tend to be popular with fat tire bikes consequently, or anyone else who mountain bikes in snowy conditions. According to Velonews, Shimano SPD pedals are good at shedding mud and water, but not as good as Crank Brother’s proprietary Eggbeater system. Look pedals are good at mud shedding, but the stock cleats are not; Look offers an upgraded cleat, the Easy DCS, for a small upcharge. Most cleat systems perform equally in rain, keeping the foot in place despite slippery conditions. Cyclocross racers might want to look at Crank Brothers for maximum mud-shedding. If you break a pedal or lose a cleat, it’s great to be able to replace it quickly. Shimano SPDs are ubiquitous, but Crank Brothers are not far behind. Look S-Track and Time ATAC pedals are slightly less common, and it may be harder to find components or replacements in a pinch. Float is the degree to which you can adjust your foot while clipped in. Tension is the tightness of the connection governing the angle and pressure of clipping out. 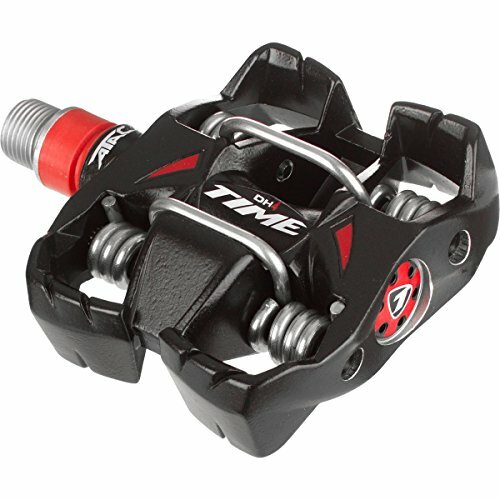 Unlike road pedals, most mountain bike pedals do not have float adjustment built in. 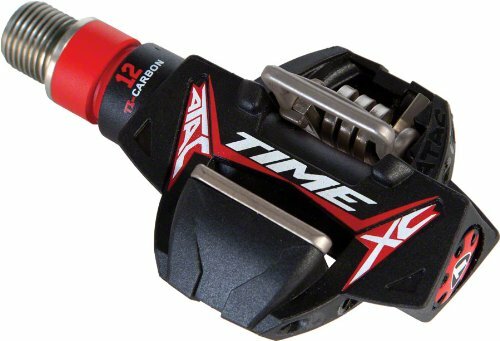 The tension of Time ATAC pedals is very easy to adjust. Shimano SPD pedals have a similar range of settings, but are not as quick and easy as Time pedals. Crank Brothers build little adjustment into their Egg Beater pedals, but users can flip the cleats or buy plastic housings for the pedal ends to adjust tension and fit. The Candy line is very adjustable. 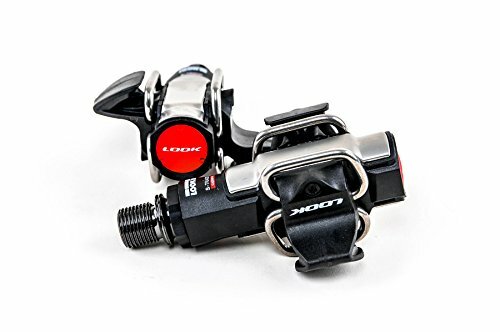 Look S-Track pedals are similar in lack to the Egg Beaters for lack of options, requiring after-market cleats or modified installations to fine-tune tension. Heavier pedals tend to be more durable, making this a trade-off. Outside of weight, manufacturers have reputations, too. Crank Brothers have a reputation for being less durable, although Bike Radar reports they’ve worked to improve quality in recent years. Unlike most pedals, they are easy to rebuild and maintain. 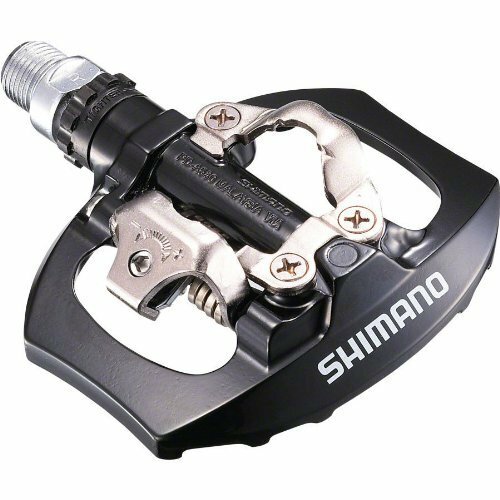 Time, Look, and Shimano have good reputations as durable pedal manufacturers. All pedals need regular cleaning, especially if you ride in bad weather. 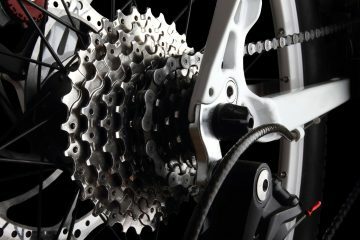 See our article on mountain bike cleaning for tips. Mountain bike pedals are designed for 2-hole cleats and shoes. Cleats vary among the major manufacturers, but are always included with the pedals. Cleats can even be adapted to your road bike shoes. Compatibility shouldn’t dictate your pedals, but mountain bike shoes will be preferable for comfort and cost.